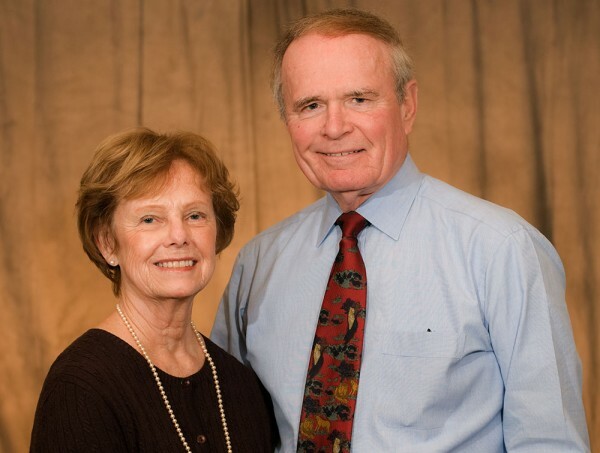 CURE International comes straight from the hearts of its founders, Scott and Sally Harrison. It started with an invitation. In 1986, Dr. Scott Harrison, a successful orthopedic surgeon and international businessman, was asked to perform spine surgery and teach higher level orthopedic surgery skills to local medical practitioners in Malawi. Over the years, he and Sally returned to Malawi on many occasions to help more and more children with disabilities. The stark realities of the physical and spiritual needs of these children haunted them, though. They saw that they were barely making a dent, and they wanted to do something about it. The opportunity to do that came after Dr. Harrison’s tenure as CEO and President of Kirschner Medical, an international manufacturer of orthopedic products, ended. In 1994, the company was merged with Biomet, and this gave the Harrisons the freedom and resources to pursue their passion for healing disabled children. In 1996, CURE International was founded and, two years later, CURE’s first hospital opened. Under the Harrisons’ leadership, CURE grew rapidly, opening new hospitals frequently and establishing two specialty programs, CURE Clubfoot and CURE Hydrocephalus. In 2012, the Harrisons passed the torch to a new leader, Dale Brantner, who had been serving CURE as a Senior Vice President. In 2016, leadership of the organization passed to long-time board member Roger Spoelman, who became interim President and CEO. CURE’s focus as an organization is now on growing deeper to bear more fruit, increasing the reach and capacity of the existing CURE network while remaining agile to take advantage of new opportunities for growth. Since that first hospital opened in 1998, CURE has established a presence in 26 countries. CURE hospitals have performed more than 196,000 procedures, more than 119,000 children have been treated at CURE clubfoot partner clinics, and surgeons trained by CURE have performed more than 12,000 procedures to treat hydrocephalus and spina bifida. The miracles of physical healing have opened doors to spiritual healing in ways that are affirming and culturally-sensitive. The heart of the organization follows the hearts of the Harrisons – to continue to give hope by giving the highest quality care for the medical and spiritual healing of children with disabilities and their families. CURE International is established, and construction begins in Kenya on CURE’s first hospital dedicated to helping and healing children with physical disabilities. CURE International, in cooperation with the Africa Inland Church, opens AIC CURE International Hospital in Kijabe, Kenya. Along with being CURE’s first hospital, CURE Kenya is Africa’s first orthopedic pediatric teaching hospital for children with disabilities. CURE Children’s Hospital of Uganda opens in Mbale. CURE Uganda is a specialty teaching hospital that treats the neurosurgical needs of children with an emphasis on conditions like hydrocephalus, neural tube defects, spina bifida, and brain tumors. Beit CURE International Hospital, a teaching hospital that specializes in treating the orthopedic needs of children and adults, opens in Blantyre, Malawi. The Beit Trust, a UK-based charity, provided support for the construction of the hospital as a gift to the people of Malawi. CURE Malawi also has special expertise in total hip and knee replacement surgery, making it one of the few places where this surgery is available in Sub-Saharan Africa. Centro de Ortopedia y Especialidades CURE International opens in the Dominican Republic as CURE’s first presence in Latin America. Located in the capital city of Santo Domingo, CURE Dominican Republic provided pediatric orthopedic surgical and rehabilitative care to children with disabilities for the next 15 years. CURE accepts an invitation from the Afghan Ministry of Public Health to assume control of a partially restored hospital in Kabul. CURE Afghanistan provides high quality maternity and pediatric care, general surgery, and family health care. Beit CURE International Hospital in Lusaka, Zambia, opens. The Beit Trust provided support for the construction of the hospital as a centennial gift to the people of Zambia. It is CURE’s first hospital to offer both orthopedic care and neurosurgery in the same location. CURE Zambia also offers reconstructive plastic surgery. CURE assumes ownership of Oasis Hospital in Al Ain, United Arab Emirates. Oasis Hospital specializes in maternal health and has brought over 100,000 children into the world since the hospital first opened in 1960. CURE International launches CURE Clubfoot, an initiative to eliminate clubfoot as a lifelong disability in the developing world. CURE Ethiopia Children’s Hospital opens in Addis Ababa. CURE Ethiopia brings state-of-the-art orthopedic surgical care to the children of Ethiopia and serves as a training site for pediatric and advanced orthopedic surgical techniques. CURE International passes 1,000,000 total patient visits. CURE International responds to the 7.0 magnitude Haiti earthquake by sending one of the first surgical teams into the country just two days after the quake strikes on January 12, 2010. CURE Hôpital des Enfants au Niger opens in Niamey, the capital city of one of the poorest countries on earth. CURE Niger is the only hospital in Niger offering specialty orthopedic and reconstructive surgical care for children. CURE International launches CURE Hydrocephalus, an initiative to increase access in the developing world to surgical care for hydrocephalus. CURE International passes 2,000,000 total patient visits. CURE International opens the Tebow CURE Hospital in Davao City, Philippines. Built with support from the Tim Tebow Foundation, the hospital brings pediatric orthopedic care to the island of Mindanao. CURE International opens the new Oasis Hospital building in Al Ain, UAE. Built thanks to a generous gift from the Al Nahyan family, the new building features expanded bed space, a state of the art birthing center, and 20 NICU beds, affirming Oasis Hospital’s role in the Emirates as the “birthplace of leaders for the nation” and the premier hospital in the region for maternal and child care.